US-based asset management firm Exhilway Global, which had exited from its emerging markets focused fund - Exhilway Global Opportunities Fund I (EGO – I) - over investors’ concerns, is putting together plans to relaunch it with a trimmed corpus of $50 million, according to a statement by the company. As reported by VCCircle, Exhilway had to exit from the fund as a bunch of limited partners (LPs) raised concerns over the due diligence process and quality of companies selected for investment. The investment commitments of the fund and management control were then taken over by its limited partners (LPs). The mandate of the fund had India as a key target geography. Indeed, it had selected a slew of firms to deploy capital and was in the process of disbursing funds. The firms which were shortlisted include Hyderabad-based hospital chain Livewell Healthcare, Ahmedabad-based Astra Lifecare, social networking app YoTurf, Chennai-based Jain Granites, among others. Though the focus of the fund was emerging markets, investors particularly flagged off issues with companies selected for the India portfolio. The concerns were first raised by some of the companies shortlisted by Indian arm of the firm and were then taken up by investors. “Exhilway immediately suspended the Indian operations, terminated the services of the senior management and outsourced the management of the fund to an independent management firm and is now relaunching the delayed fund and restoring confidence,” it said. 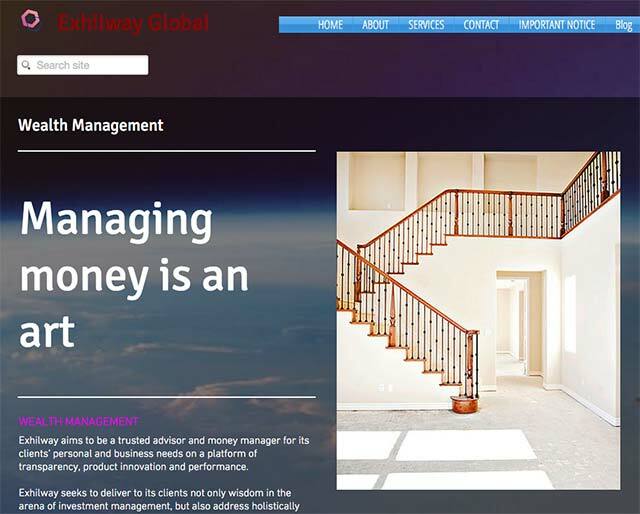 Exhilway will relaunch the fund in partnership with an established fund in either the US or the UK, it said. It has now brought in checks and balances to avoid the mismanagement that happened last time. It will restrict its role to the gross selection of the portfolio companies and the partnered fund will select the best companies from the gross portfolio or called the net portfolio. The announcement is likely to happen in a month or two and a fresh proposal will be sent to the limited partners for their perusal. “The fund size will now be trimmed to $50 million from earlier corpus of $200 million,” it said. It has also initiated an independent audit to understand the flaws in the entire fund establishment process. "We sincerely apologise to the truthful portfolio companies who faced delay; we assure you that the fund will be back with flying colours. As a token of our commitment towards India and our unending confidence in you, we announce $2.5 million or Rs 33.50 crore worth of stock giving to the 27 portfolio companies which cleared the last due diligence round," said Greg Chandler, securities lawyer who is in charge of restoring India private equity operations. It also said the portfolio companies irrespective of whether they are selected in the new fund or not can avail compensatory shares and liquidate those at the time of stock exchange listing proposed for 2016-17 on the OTC Markets, the US and London AIM simultaneously.